Ami Blackwelder is a Paranormal and SciFi writer. Angels, Mers, Elves, Shifters, Vampires, Zombies. She also has some poetry and short stories. 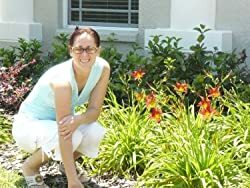 "Ami Blackwelder is an author with a Unique Voice and Unpredictable Plots." Please enter your email address and click the Follow button to follow Ami Blackwelder!